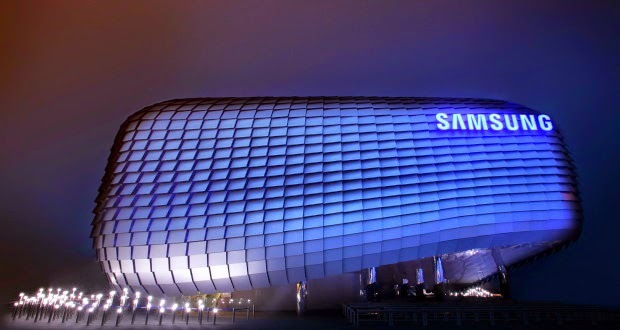 Samsung today announced a new service electronic payment over the phone called it "Samsung Bay" Samsung Pay, during the currently held on the sidelines of its participation in technical MWC conference in Barcelona. This Samsung aims of this service to make payment online more quickly and easily than traditional payment via credit cards, as they came to compete with electronic payment Apple's own service, which had been revealed by Apple last year under the name of Apple Pay. Service depends mainly on the chip to connect to the near-term and NFC technology called Magnetic Secure Transmission, and that you enable communication with the various payment terminals based on simple tools, allowing to serve Samsung Pay access to about 30 million in the shop all over the world. In addition, the partnership with Samsung to my company, "Visa" Visa and "MasterCard" MasterCard, and is working to expand the new payment system to reach places such as American Express, Bank of America, JP Morgan, Citi, and US Bank. And operate the new payment service with the hardware of the two series of Galaxy S and Galaxy Note that provide sensor for fingerprints, so the user can take advantage of the service to open the application Samsung Pay and then choose a credit card that will be used, and then ratify the payment process through a fingerprint, and to ensure that the process successful, Samsung has to take advantage of KNOX platform, and ARM TrustZone, and tokenization, which allows users to replace the card data distinctive symbol safe and unique. And Samsung will provide Samsung Pay service time Alawlh in the United States and South Korea during the summer, as will the service to Europe and China, then, will be the first devices that will support the service is "Galaxy S 6" Galaxy S6 and "Galaxy S 6 EDGE" Galaxy S6 Edge who revealed by the company earlier.